I quit smoking on January 8, 2001. I smoked for 31 years. I am going to tell you how I did it so that it might encourage or inspire you to quit too. Sometime in December of 2000 a co-worker asked me if I wanted to make a New Year’s resolution to quit smoking. I said yes, I’m ready to try to quit again. He picked January 8th as the quit date. It was the Monday after the first of the year. I bought a box of patches. I also had two people in the office who encouraged me to quit. On the morning of January 8th, I put a patch on my arm and went to work. My fellow quitter continued to smoke and did not make any attempt to quit. As far as I know, he still smokes. I just stuck with it. In the office, my two friends kept encouraging me and congratulating me on how well I was doing. After two months, I decided that I could stop wearing the patch. I’m not sure how I knew that. I just thought that I was ready. I saved the last one and carried it around with me wherever I went. Just in case. I never used it and eventually stopped carrying it around. I am so glad that I finally quit smoking. I always thought that even if I could quit, I would always want a cigarette. That has never been true. I have no desire for a cigarette at all. Every once in a while (once a year?) I think about it and it passes in a few seconds. I am around smokers all the time and it doesn’t bother me. I wish I had never smoked that first cigarette. You don’t need cigarettes and they don’t do anything good for you. Smoking is just a terrible addiction and you don’t really understand that until you quit. If I can quit smoking, you can too. I smoked constantly. I never went anywhere without my cigarettes. They ruled my life. At one time, some people thought that going “cold turkey” was better than using a nicotine substitute to quit. I just suspected that or sensed that from some people. They thought that you were somehow a better person if you quit “cold turkey” and less of a person if you used a substitute. That’s a bunch of nonsense anyway. It is perfectly acceptable to get help to break your addiction. Six months after you quit, it won’t matter anyway. I started smoking in 1969 when I was 16 years old in high school. I had very bad acne in my teenage years and thought that if I smoked I would eat less candy. That was pretty stupid logic, but I was a teenager. I didn’t inhale the smoke when I first started, but eventually someone taught me how. I still remember where I was when I learned that. Also, when I first started inhaling, I got dizzy from the smoke. I guess I thought that was a good thing at the time. My school actually had a smoking area in the parking lot where you could go and smoke. I remember being dizzy for the beginning of my first class after lunch. My first attempt at quitting came when I was in my twenties. My father always encouraged me to quit. He read about a Dr. Funk in Philadelphia who had been to China and brought back a form of acupuncture to help people quit smoking. A group of us, including my father who didn’t smoke cigarettes, went to the hospital in Philadelphia. We listened to a short lecture and then had a surgical clip placed on our ear. It lightly pinched for a second while going on, but all in all it was relatively painless. For me, it was quite amazing. Wearing that clip just killed my desire for a cigarette. I did not want to smoke anymore. I wish I could have left it on forever, but I went back to the hospital to have it taken off after a week. That was the prescribed amount of time to wear it. Supposedly, the nicotine addiction was broken after a week and the device was no longer useful. The first time I ended up quitting for a couple of weeks. This stop smoking technique was soon offered at other hospitals. I tried this method two more times over the years. It was always a good way to kick start a quitting program. I knew that I wouldn’t want a cigarette for the week that it was in my ear. The rest was up to me. I tried cold turkey a few times too. Merriam-Webster defines “cold turkey” as the abrupt complete cessation of the use of an addictive drug. Once I quit for three months and I thought I had my smoking addiction beat. I really felt bad smoking again after quitting for three months. I chewed Nicorette gum for a while too at some point. I don’t remember how long I was on that. It was probably at least a month. When I finally quit for good using the patch, I also took Wellbutrin for the first week. I talked to my doctor and he wrote me a prescription. I was a little crazy on Wellbutrin and stopped taking it after a week. It made me paranoid and I would occasionally shout things out for no apparent reason. That wasn’t good and I stopped taking it. I was a little angry at the fact that I had to pay so much for the patches. I figured that I had paid so much in cigarette taxes over the years that the patches should be subsidized by the government or the tobacco companies. No such luck. The Marlboro Man wasn’t going to help me quit. I’m glad I invested in the patches though. I have saved a lot of money over the past eight years. At $4.00 per pack, 365 days a year times 8 years, I saved $11,680. I smoked more than a pack a day though usually, so I saved even more. Some friends of mine have used Chantix to quit recently. I have never used it, but they recommend it. It’s worth looking into. A recent story in the New York Times says that most people attempt to quit 8 to 10 times before they are successful and that 21% of the U.S. population still smokes. That is way too many. If you have tried to quit before and failed, it is worth it to try again. Do it today. Right now. You don’t want to be the last smoker in America do you? Decide which nicotine replacement method you want to try and get a supply of them. Find a friend or co-worker and ask them to support you. Throw those cigarettes in the garbage where they belong. Let’s put the cigarette makers out of business due to lack of interest in their evil product. I didn’t know that my last attempt to quit was going to be successful. I just knew that I wanted to quit because it was so bad for my health. Keep trying. You can do it. The Christmas tree in Rockefeller Center this year (2008) is from my hometown of Hamilton, New Jersey. My father was a friend of Bill Varanyak, whose family donated the tree, and I know Bill too. My son works right down the street from where the tree stood for 77 years. I must have driven past this tree a few thousand times. You can read a story about the tree and the Varanyak family here in a Daily News article. 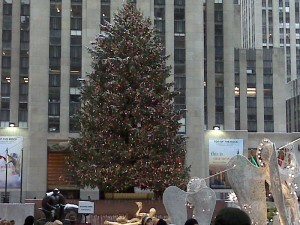 The photo of the Rockefeller Center Christmas Tree above was taken by my friend Jody Marchin. Double-click on the photo for a larger view. The Times of Trenton has a nice article too, but it no longer has a picture of the tree. When the tree is taken down after Christmas, it will be used to help build a Habitat for Humanity home. Scientific American has a nice story about that and a picture of the tree lit up by its 30,000 LED lights. I’m listening to a John Denver CD, “Christmas in Concert” to get me in the Christmas spirit. It was originally recorded live at the D.A.R (Daughters of the American Revolution) Constitution Hall in Washington, DC on December 19th and 20th, 1996. I listen to it every Christmas. The World Children’s Choir sings with John on some of the selections including “Jingle Bells” and “Rudolph The Red-Nosed Reindeer.” The National Symphony Orchestra accompanies John on this CD too. “Please, Daddy (Don’t Get Drunk This Christmas)” and the story of “Alfie, The Christmas Tree” are two other interesting tracks. John talks with the choir and the audience and tells a few stories during the concert. It is a great live album. Does anyone besides me still say “album?” The CD that I bought years ago contains a booklet written by Joseph F. Laredo that gives some background on the concert and each song that is played. Add this CD to your collection of Christmas music. My favorite song on the CD and one of my favorite Christmas songs, period, is “A Baby Just Like You.” The song was inspired by comments that Frank Sinatra made to John after Frank became a grandfather. It was written about John’s son Zachary. I have always loved this song. When I was in elementary school, my grandmother and grandfather used to take me, my brother and my cousin on the train to Wanamaker’s department store in Philadelphia. My grandfather would pick us up at school and take us to the Pennsylvania Railroad station in Trenton, New Jersey. My grandmother worked for the railroad and sold tickets at the station. As soon as she finished work, we would hop on the train. I have always loved riding on trains, perhaps because of this Christmas tradition. We would go to the Wanamaker store as soon as we arrived in Philadelphia. It was always beautifully decorated for Christmas. My grandmother would go Christmas shopping and my grandfather would take us to the toy department. We were told that if we ever got lost, to come back to the giant eagle near the entrance to the store. There was a monorail train, called the Rocket Express, that ran around the ceiling in Wanamakers and if you were a little kid, you could ride in it. That was always a lot of fun. The monorail is now at the Please Touch Museum in Philadelphia. When my grandmother was done shopping, we would go out to eat at a nice restaurant in Philadelphia and then take the train home again. My sisters and girl cousins would have their own trip to Philadelphia on another day. One Christmas, I couldn’t think of what to give my grandmother who was 80 years old or so at the time. I decided to get her a bunch of different “treats” that she wouldn’t normally buy for herself. I basically went to the supermarket and created my own gift basket for her. There was candy, fruit, crackers, a jar of jelly, nuts, etc. I packed it all in an ordinary box with tissue paper and wrapped it up. We always opened our presents on Christmas Eve at my parents house. When my grandmother opened her present, she was delighted. She acted like an eight year old getting a new favorite toy. She was almost as giddy as Scrooge on Christmas morning after the three spirits had visited. Just seeing the happy look on her face was priceless. She told me that when she was a small child growing up in Stoke-On-Trent in England, she would get a single apple or piece of fruit for Christmas. That was it. I continued to give her a box of treats every Christmas as long as she lived. She always loved what I got her. I enjoy reading the obituaries in the New York Times. I check them almost every day. It is amazing to me some of the interesting things people have done and the lives they have lived. Reading the New York Times obits is like taking a history lesson. Some of the people I have heard of and some I have not. The stories below are from recent obituaries in the Times. Go to the New York Times website for the complete obituary. Dennis Yost, lead singer for a group called the Classics IV died December 7th. I didn’t recognize the name, maybe you don’t either, but I bet that if I told you he sang the song “Spooky” in the late 1960’s and early ’70’s, the tune would pop into your head. He also sang “Stormy” and “Traces of Love.” I remember parts of all three songs. Elmer Valentine died December 3rd. In 1964 he started a famous rock and roll club called Whiskey a Go Go in West Hollywood. I have heard of the club, but not of him. All kinds of famous groups from the sixties played there. The “go-go girl” in a cage suspended from the ceiling was started at his club, by accident. One of his grade school teachers said that he would go to the electric chair someday. That fits right in with my previous post “Can Kindergarten Scar You For Life.” Jim Morrison and The Doors were the house band for a while. Interestingly enough, the next obit in the Times is for Jim Morrison’s father. George S. Morrison died on November 17th. He was a Navy Admiral and the father of Jim Morrison of The Doors. He commanded United States naval forces during the GuIf of Tonkin incident off the coast of Vietnam. This event led to Congress giving President Lyndon Baines Johnson the power to escalate the war without actually asking for a declaration of war from Congress. I think it is interesting that both father and son are mentioned on the same day on the same obituary page. Jim Morrison died in 1971. Henry Molaison died on December 4th. He had a brain operaton in 1953 when he was 28 to correct a seizure disorder. After the operation, he was no longer able to form new memories. Every time he did something it seemed like he was doing it for the first time. He could only remember something for about 20 seconds. Doctors and scientists who studied him paved the way for later studies of memory disorders. His brain was preserved for future study. Nina Foch died on December 5th. She was an actress who played the pharoah’s daughter in the 1956 movie, “The Ten Commandments.” She was also in Spartucus, Scaramouche, An American in Paris and many other movies. At one time, she was married to James Lipton of “Inside The Actors Studio” on Bravo. Sunny von Bulow died on December 6th. She was in a coma for almost 28 years. Her second husband, Claus von Bulow, was tried and convicted and then tried again and acquitted of her murder. Her first husband, Prince von Auersperg, whom she divorced, was in a car accident in 1983. The crash put him in a coma until he died in 1992. That is an interesting coincidence. Forrest Ackerman, who is known as the “biggest fan” of science fiction and horror stories, died on December 4th. He thought of the term “sci-fi” while driving in his car and a radio announcer said “hi-fi.” At one time his science fiction collection had 40,000 books. Robert Englund, who played Freddy Krueger, called him the Hugh Hefner of horror. Dorothy Sterling died December 1st. In 1954 she wrote the childrens book “Freedom Train” about Harriet Tubman and the Underground Railroad. She used the New York Public Library to research “Freedom Train” and other books she wrote about black history. Paul Benedict died December 1st. He played Harry Bentley on the television show The Jeffersons. Dorothea Rabkin died on November 25th. She collected American folk art, including whirlygigs, figural sculptures, quilts, baskets and dolls. She collected them with her husband by searching flea markets and secondhand stores. “Uncle Sam Riding a Bicycle” is one of their most famous whirlygigs. Some of their collection is exhibited at the American Folk Art Museum in New York City. Odetta died December 2. She was a well known folk music artist who sang blues and ballads that influenced Bob Dylan, Joan Baez and others. In 1963 she marched with Dr. Martin Luther King, Jr. and sang for President John F. Kennedy. Oliver Selfridge died recently in Boston. He graduated from the Massachusetts Institute of Technology when he was only 19 years old. He was well known in the field of artificial intelligence in computers. Bill Drake died recently in Los Angeles. He transformed radio programming in the 1960’s by changing the way “disc jockeys” worked. He created a format that played more records, had less commercials and had “Boss Jock” DJ’s that talked less. Doris Dungey died recently in Columbus, Ohio. She blogged about the collapse of the mortgage industry under the name Tanta. The blog was called “Calculated Risk” and was started in 2005 by Bill McBride. He thought that the housing market was peaking and he posted information about that. Tanta commented on the blog and corrected some of his work. Eventually, she was made a partner in the blog. Richard Fortman died recently in Springfield, Illinois. He was an international authority on the game of Checkers. At one time, he was one of the top players in the world. He could play 100 games at a time. Cecil Underwood died recently in Charleston, West Virginia. He was a high school teacher who was the youngest Governor of West Virginia and the oldest. He was elected in 1956 and 1996. William Gibson died recently in Stockbridge, Massachusetts. He was a playwright who wrote “The Miracle Worker.” It is the story of Helen Keller and her teacher Anne Sullivan. The 1962 film starred Patty Duke as Helen Keller and Anne Bancroft as Anne Sullivan. 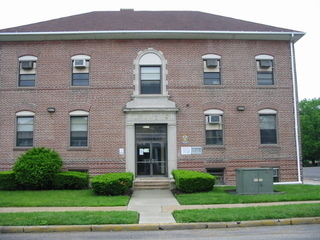 Betty James died recently in Philadelphia, Pennsylvania. She came up with the name “Slinky” for the toy that her husband invented. When her husband left for Bolivia in 1960, Betty took over the company and ran it for many years. Over 300 million Slinkys have been sold. It is the official state toy of Pennsylvania. There you have it. These are a few of the obits appearing in the New York Times recently. Of course, not everyone gets to have their obituary in the Times. I know I haven’t done anything yet to make the Times when I kick the bucket. What about you? I would love to hear your comments about this post.